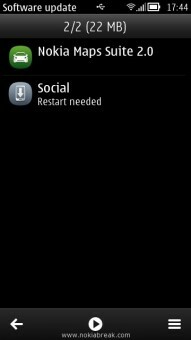 There are lots of beginners who doesnt know that Nokia phones provides an option of software update the phone using the phone itself without connecting it to the computer. Today we are going to guide you how to update your Phone using the Phone itself. 1. 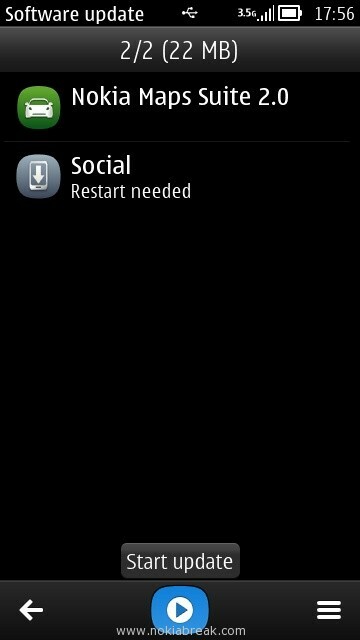 Open Nokia Menu and Tap on the Software Update utility. 2. 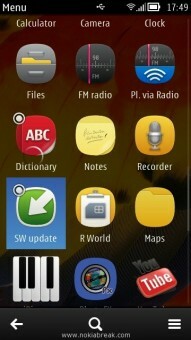 Once Software Update utility is opened, it will automatically search for the available updates for your phone. 3. If there will be any updates available for your Device, it will be shown in the list. Otherwise the page will be blank, and will prompt you that your phone is upto date. 4. If any update is found for your Phone, then click on the play button to start downloading the updates on your phone. 5. 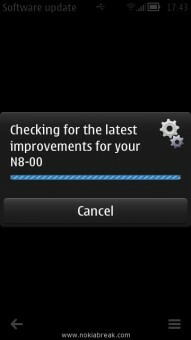 Next, you will see downloading updates screen. You have to wait until your update is downloaded in your phone. Once updates is downloaded it will be installed automatically. After installing the updates you might be asked to restart your phone. Simply switch off and on your phone to see the effect. 1. Open your Dialier and type *#0000#. 2. It will open Device manager. Once Device manager is opened, Tap on the Options. 3. From the Options menu Tap on the “check for updates”. Why there is two methods of updating? 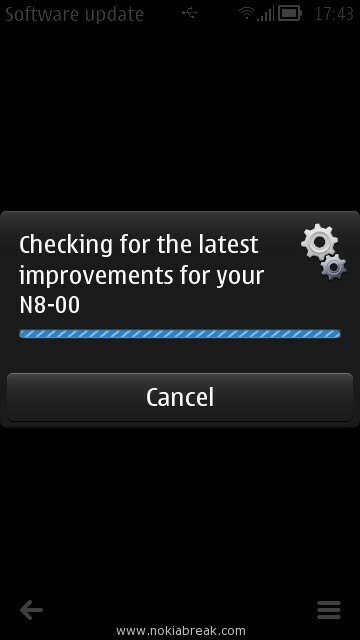 Well, the first method is meant for updating the software provided by Nokia on your Phone. 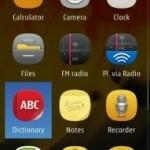 It is not related to the OEM or say Operation System of your phone (belle, anna, symbian). Second method is for OEM or Operating System update. So dont get confused why updates are shown in one method and not in another method. We recommend you to use the first method, as because software updates are releases time ti time but not OEM updates. Updating your Phone software will help you to fix the bugs that occurs when a software crashes. If you are looking for Antivirus program for Nokia devices then see Best Antivirus for Nokia. concordo, i miglioramenti grcfiai sono notevoli ! l’unico tallone di achille il design, che a parer mio non buono .uffi che peccato !Fermo restando che il lavoro svolto in fase di programmazione dai ragazzi di high voltage ammirevole, guardando i video di the conduit si nota che cio che offre questo motore grafico di sopra pure a metroid corruption, ma il problema che con il design da loro scelto non si riesce a vedere tanto; che al di sopra degli standard ( di tutti almeno per ora )lo si nota soprattutto quando mostra i colpi di luci e texture su mani.Sarebbe bello poter vedere questo motore grafico all’opera in un gioco come call of duty; in quel caso vedremmo davvero il gap tecnico che c’ tra questo motore grafico e tutti gli altri giochi che fino ad ora sono usciti su wii. E pensare che non ancora il max che puo dare su questa console, perche evidentemente possiede ancori molti margini di miglioramento ..e questa la dice lunga . mario galaxy,metroid corruption, smash brawl e call of duty world at war son l’aperitivo, the conduit solo l’antipasto quindi . I’ve forgotten my nokia x2-01 security code!what can i do to get my code?